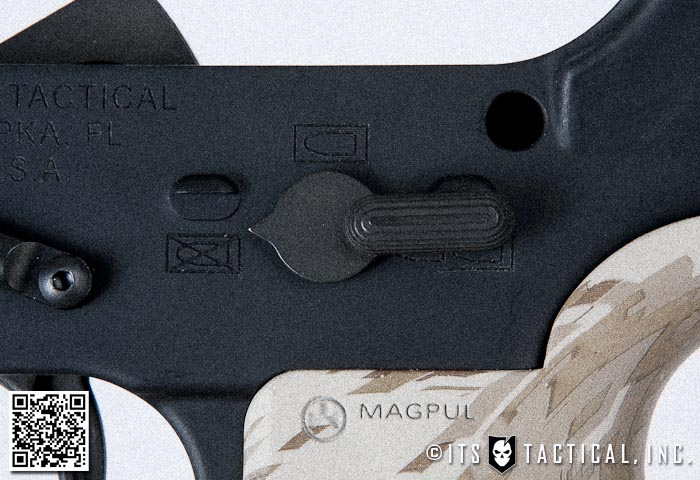 Burning these dots into polymer handgun frames, grips, fore ends, rail panels and even magazines like PMAGs, is typically done using a soldering iron and a lot of patience. Why do this? As the soldering iron burns a dot or other pattern into the polymer, it leaves behind a raised surface that enhances the texture and aids in your ability to “grip” the stippled product. I’d never been entirely convinced of the effectiveness of stippling, that is until I gave it a shot myself. 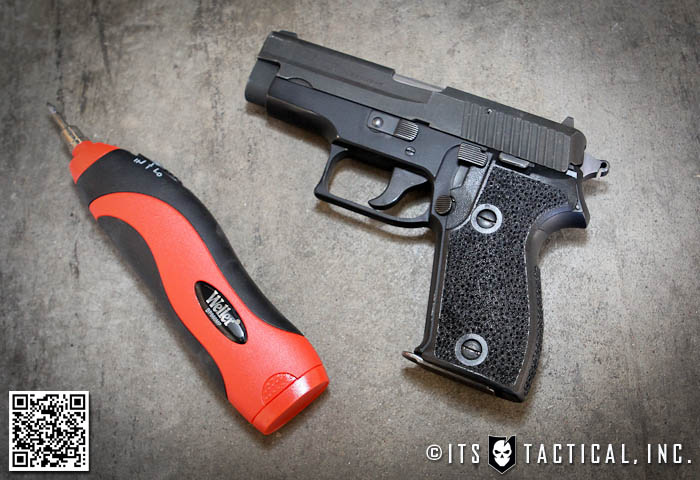 Here’s my thoughts on what I found when I attempted my first DIY stippling on a set of Sig grips for my P225/P6 and why next time I’ll probably call our friends at Method Burn to use their services! As mentioned, the typical tool in stippling is the old standby soldering iron. While it’s purpose has always been electrically heating up solder to connect electrical components. Stipplers have found another use for them in our industry which is similar to pyrography (burning designs into wood and plastic). In addition to the textured surface stippling provides, it’s truly art as well. I’ve seen many stippled patterns that I’d certainly classify as artistic. The root of stippling isn’t to make a gun pretty though, it’s to provide a better grip. As mentioned, I’ve never been thoroughly convinced stippling is truly beneficial, until I tried it myself. I’d shot friend’s guns that had it done and while it was nice I just didn’t see what all the fuss was about. A few weeks back I ordered a spare set of grips for my P225/P6 from Top Gun Supply and decided to give Stippling a shot. I started off with a soldering iron I already had and was immediately discouraged. The iron I had is a traditional one that has a long distance from the handle to the actual heated tip. This caused a problem with having to be far away from the surface I was working with and almost stupidly burning myself wanting to hold it lower on the iron, which would have burned quite a bit. I’ll admit I’ve even done this in the past too and it took quite awhile to heal. So after almost burning myself like that again and realizing the iron I had was melting the grips too much and melting the dot too deep, I opted for a better soldering iron that featured some things I like. The first was being able to hold it like a pen, closer to the tip. This gave me better balance and allowed me to work closer to the grips and more efficiently burn the dots. The second benefit was it being wireless. Battery powered meant not worrying about a cord getting in the way or needing to be close to an outlet or hooked to an extension cord. The final and most important feature of my new soldering iron was variable temperature. As mentioned my original iron was burning too deep into the polymer as it got hotter, this led to stringy plastic all over the place and crappy results. The iron I finally went with was a Weller BP860MP. It was only about $20 and I used it on the low power setting for these grips. 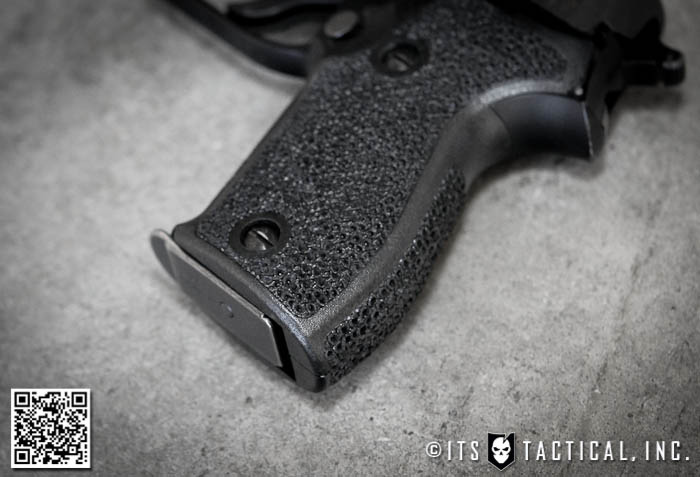 Even a surface as small as a set of grips will make your hand worn out after awhile and made me have even more respect for Method Burn and the stippling jobs they do for others. There’s really nothing to stippling other than coming up with whatever pattern you’d like to try. As you can see I just burned dots, but other techniques I’ve seen is angling the iron so that it’s more of a “teardrop” pattern or getting more aggressive with the iron and leaving a heavily textured surface. Something I’ve also seen with polymer framed handguns like Glocks is grip reductions, where a section of the polymer frame is taken away to conform the grip better to the individual shooter’s hand size. Let’s face it, the possibilities on polymer framed guns are really endless in regard to what kind of stippling/reductions are possible. This is one of the benefits I see to having a gun with removable/replaceable polymer grips. I can just switch out the grips if I don’t want the stippling any longer, but with a Glock or other polymer frame, you’re stuck with it unless you want to buy a new frame. That’s considerably more costly than a set of grips too. There are certainly benefits of a polymer frame though too, such as stippling other areas your fingers rest, etc. As I carry IWB (In the Waistband) with my 225, I lightly hit my stippling with some 220 grit sandpaper and have been comfortably carrying it for the last few days. The stippling isn’t very aggressive, but in shooting with it this past weekend I really noticed an increased performance in my shooting both with gloves and without. Before hitting it with sandpaper, the grips seemed to catch my shirt more and I knew if I didn’t hit them with some sandpaper it would wear down my shirts. As mentioned, I’ve just started to carry like this and shoot with stippling. 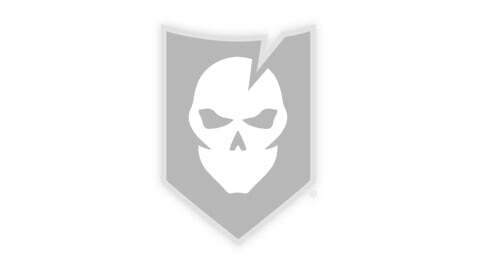 I’m looking forward to running my 225 from concealment during the Haley Strategic Adaptive Handgun course this week that ITS is hosting and updating this post with my thoughts after running a few hundred rounds through my gun. I hope this article has given you some ideas to consider if you’re up for getting into stippling, or just want to pay someone else do it for you. 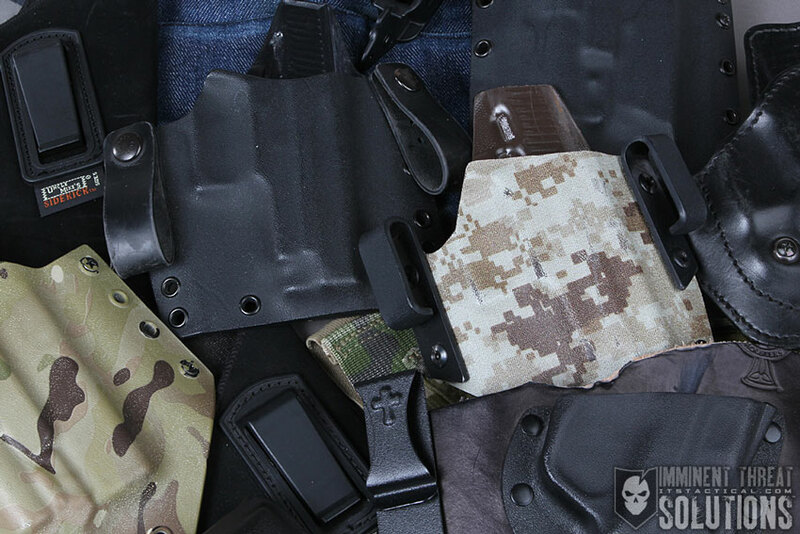 Since I wasn’t worried too much about messing up a set of grips I started in on those, but before you attempt stippling your polymer framed handgun, you might want to consider practicing on something like an inexpensive PMAG first. Have you already been stippling? What are your results like and do you see a benefit to it?